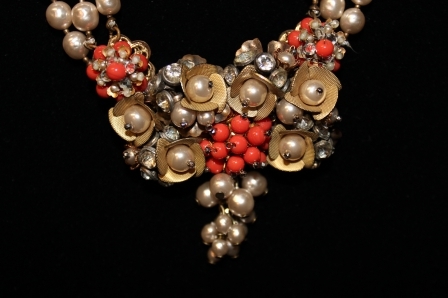 This is a beautiful example of a Miriam Haskell piece! 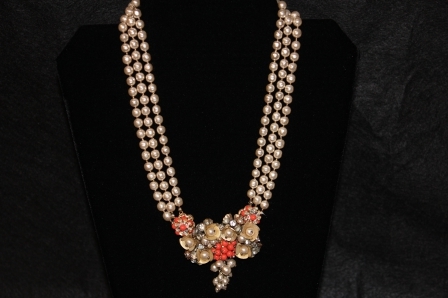 It is a costume piece of jewelry that looks amazing. 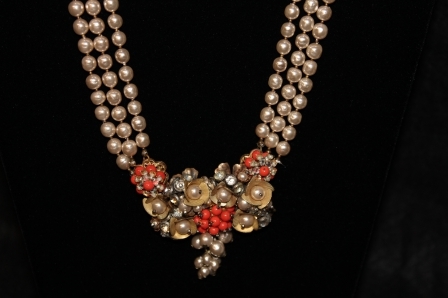 She designed it with faux fresh water pearls, coral beads, gold accents, and a few diamond rhinestones tossed in for sparkle. 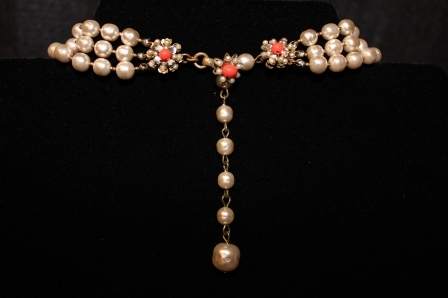 It is signed Miriam Haskell on the clasp. One of my very favorites!